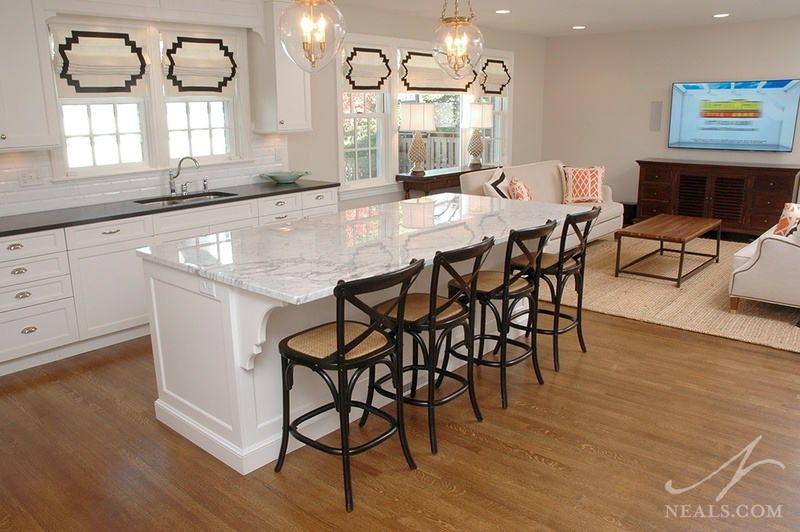 The kitchen in this Clifton home is characterized by its multiple entries. Structurally, it would have been cost prohibitive to open the kitchen up to the first floor, reducing the number of passageways between rooms. 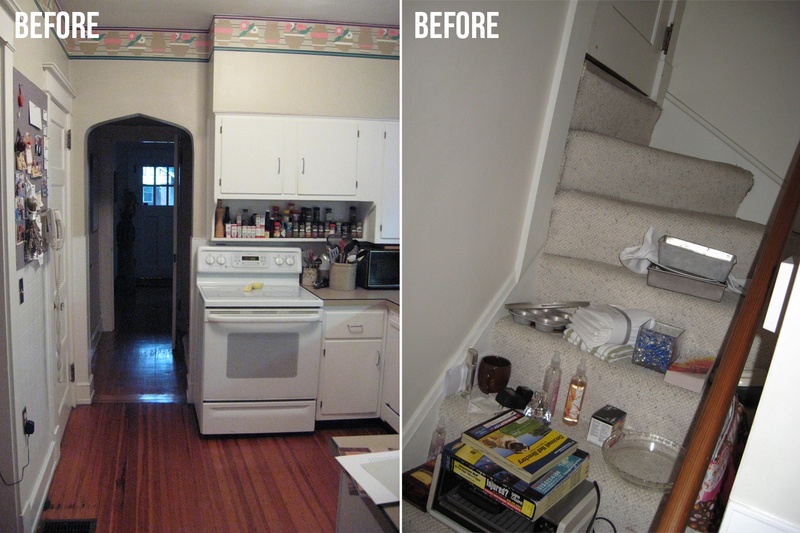 Instead, each of these spaces were evaluated for function and redesigned according to the homeowner's practical needs. The most significant of these changes came when the back staircase (which sat just behind the main staircase from the front foyer) was closed off to gain a few more square feet of storage space. 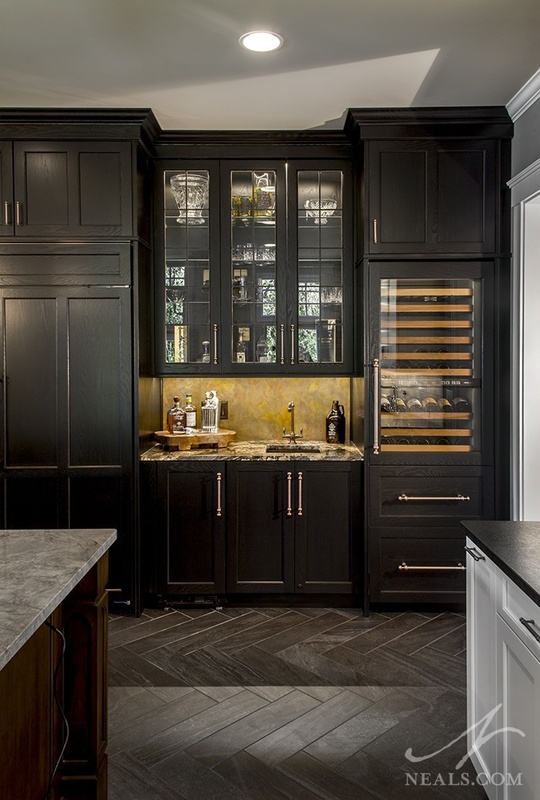 Now, as the main passageway from the front of the house into the kitchen, this stylish solution acts as a dropping point for mail and keys, while the cabinet holds small appliances and special dishes relieving a bit of the storage congestion in the main kitchen. Just past the kitchen in this Montgomery home, the back entry pulled double duty as a closet and a laundry room. Under normal circumstances that's not a bad arrangement, but in this case, the space was a small L-shaped room with barely enough space to stand and remove your coat. Hooks and rods around the awkward niche in the corner staved off floor clutter, but with the dual purpose, the room was uncomfortably small. As part of a major remodel, this room was expanded to near twice its original depth. This allowed the washer and dryer to move to the other side of the room so that the entry would be welcoming with a new wall of cubbies. 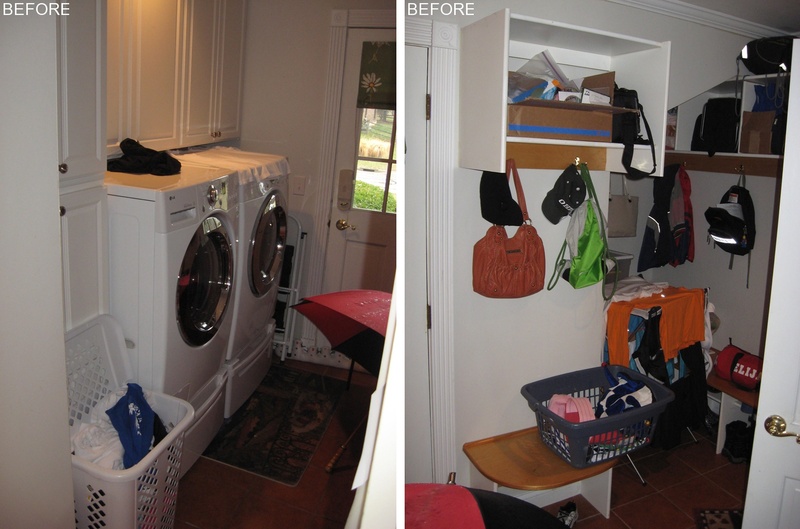 The change allowed the space to finally live up to its mudroom potential. The niche is now outfitted with a rod for hanging, and makes sense as a closet instead as part of the room itself. When you enter historic homes in Hyde Park, awkward spaces are expected, and this 1920's home was no exception. 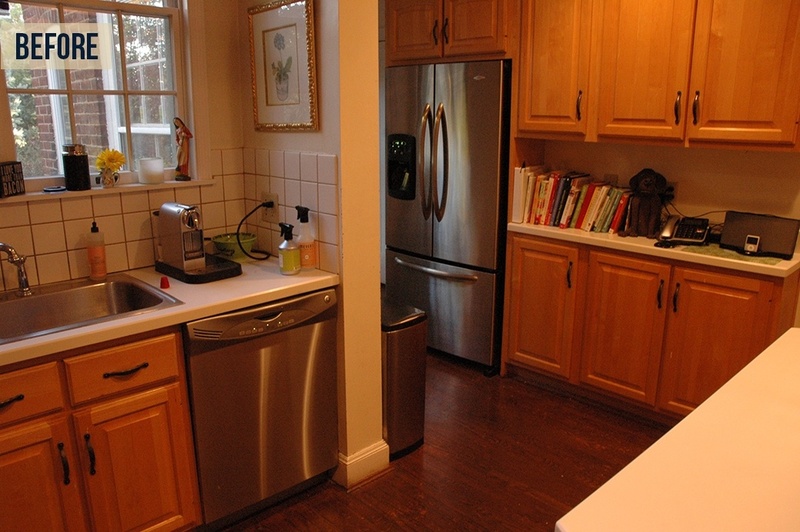 This kitchen was originally made up of 4 separate rooms. Dividing the formal dining room from the kitchen was a long, narrow butler's pantry with abundant storage for china and linens on one side, and a counter with a sink on the other. 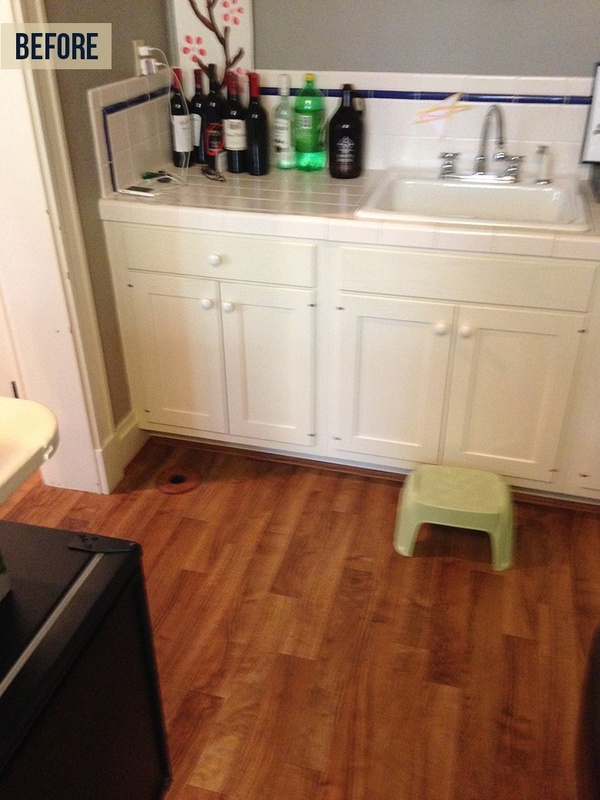 The renovation called for incorporating the storage end of the pantry into the kitchen proper, but the wet counter was a separate space that belonged with neither the dining room nor the kitchen. Since the homeowners had already started using the counter as a wet bar, the solution for this awkward space was to stick with that idea and create a full home bar that would act as a bridge between the two rooms. The new bar is now a convenient stop when guests come to visit, and helps to bring depth and interest to the overall design of the new kitchen. Kitchens that are broken up into a group of small, inefficient rooms is a problem that many Hyde Park homes deal with. In this project, the issue was that a garage on the back side of the house seemed to have been given pride of place in the original planning. The kitchen therefore ended up being two spaces- a kitchenette-like room and a hallway where the refrigerator ended up, essentially taking the classic working triangle and tearing it to shreds. 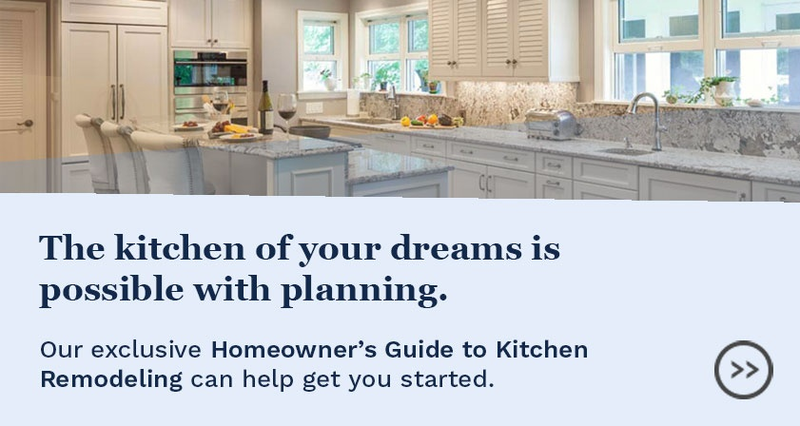 In an effort to make the home more open and inclusive, the homeowners decided to move the garage to an unattached building, allowing them to combine the hallway/kitchenette with the garage to create a new family room and kitchen combination. The before and after are so completely different, it's hard to believe that this sophisticated room was ever once an awkward space.